With a 4th place finish in the Berks County Junior Legion playoffs, the 2018 Shillington Dodgers have qualified to represent the Berks County Junior Legion League at the Junior Legion Regional playoffs in Berwick, PA. The Dodgers will play their first game in the double elimination tournament on Saturday at 2:00 pm. The field is located at 2010 Heights Road, Berwick PA. Good luck boys! SLB will hold it's next monthly general meeting on Thursday, April 18th, at 7pm. at the Shillington Borough Hall.  Also, as a reminder for the Junior Legion and Junior Legion Prep families whose sons who have been offered roster spots: Please register as soon as possible on our website. The first team meeting for Junior Legion and Junior Legion Prep will be held after the April 18th general meeting. All players and their parent(s) are expected to attend. Shillington Legion reserves the right to change the times and will provide advanced notice of any changes. Registraton is open to players who have not turned 19 years of age prior to 1/1/20. Legion baseball is "wood bat only" format. Players should bring all necessary equipment to allow them to field and hit. Please click on the registration banner (above) to register for the tryout session(s). External links are provided for reference purposes. Shillington Legion Baseball is not responsible for the content of external Internet sites.